I pride myself on not being a stereotypical over emotional woman. However, there are just times when for no good reason, things that you sometimes can deal with just fine suddenly seem overwhelming and beyond your capabilities and the slightest thing can make you cry. I know it doesn’t make sense and I don’t like it but it just happens sometimes. Friday night was one of those nights. All the little things that I have been ok with so far suddenly just became too much and I felt like I was going to lose it. I have been having some stomach issues as I try to get used to the food, I am not sleeping as well as I might wish for and on Friday night I was awakened at just after 1 o clock in the morning by the sound of mice fighting in our kitchen. I could hear them under my bed. They were running back and forth knocking in to things and squealing. I could hear them gnawing on something in the kitchen. I just lay there in the darkness praying that they would not come up on my bed. I started to fall asleep and then I felt something brush against my arm. I woke screaming and threw it as far from me as I could only to find that it was just my flashlight. I lay awake the rest of the night listening to the Born agains and their Friday all nighters which were interesting the first week and just annoying that night. Finally the sun started to come up and I got a phone call from Emined. He asked if I could help with a primary program at the church that day. I wanted to cry. I wanted to tell him no and I wanted to be on the next flight home to Utah, have a shower and sleep for the next week. But crying was the only one that was really an option and that would have just given me a headache and made the morning worse so I said I would go. I arrived at the church and Emined was waiting for me outside. “ok Vilate this isn’t going to be easy but we just need to do it.” He told me. I groaned inwardly. 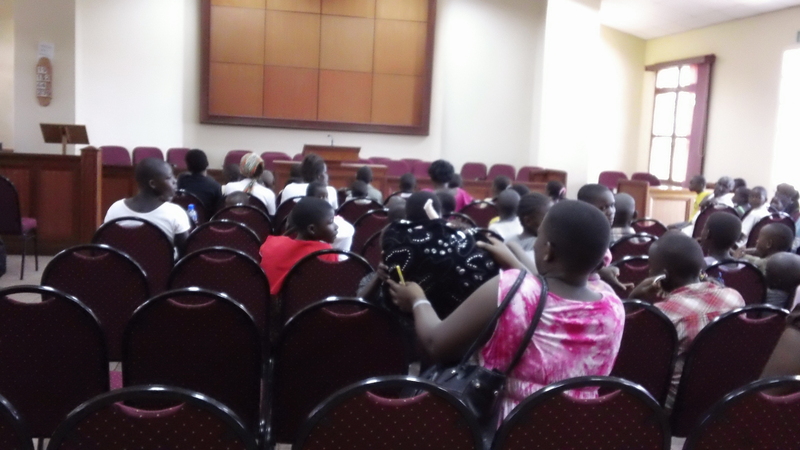 He explained that the program was a district program and would take place in Jinja about an hour away. 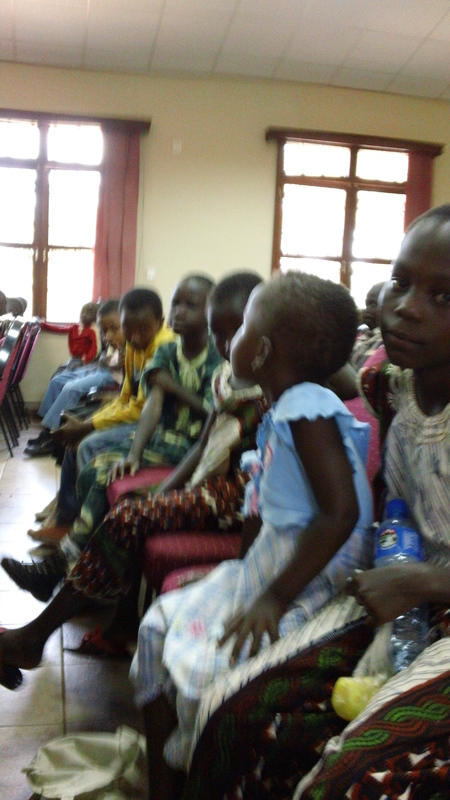 We were to gather up the children from their homes and take them on a bus to jinja. There I was supposed to represent the primary president from our branch and give a talk about having a body like heavenly father. Then I was supposed to lead the children in giving a bit of a presentation (although they hadn’t really prepared one). Then we would eat a bit of lunch and bring them all home. We started walking and after only a few minutes I could feel the sweat dripping down my back. It was so hot and so humid that I started to panic that I couldn’t breathe. It took everything that I had in me not to sit down right there in the middle of the dirty road and cry. “I don’t know if I can do this Emined” I told him. Meaning it ever so literally. He hardly acknowledged my comment. “You will be fine. “He said “it’s what we must do.” We gathered the children and walked to the taxi park where we caught a bus. As we drove I tried to focus a little on what I might say in my talk. With one child sleeping soundly on my lap and another sitting next to me, and Emined in the seat behind with 4 others I wondered what in the world we were doing. I didn’t even have a calling! Emined was the Sunday school president! Our little group of children from Lugazi at the district primary program. How did we end up doing this I thought? At that moment I thought of a phrase that I had heard many times and thought I understood. For the first time I thought of it entirely different. “Serving in the Church” is more than fulfilling your calling, more than doing your visiting teaching, more than accepting a calling when one is offered. It’s also a single man spending an entire Saturday hauling 6 children an hours walk and an hours bus ride to the city for a primary program and then sitting with them to keep them good and then standing up to singing with them when they don’t know the song. It’s me going along to help when I had no idea of what needed to happen, no notice, and nothing left in me to give. And doing it because it needs to be done. I understood and that understanding has changed me. It also gave me a deep respect for Emined as I watched him step up and do what he needed to do. Today was church and he was called as the second counselor to the branch president. We had a baptism after church and I got to spend some time talking with an investigator that has been coming to church. She took quite a liking to me and as we walked outside to watch the baptism that was going to take place in a large water vat in the yard behind the church, she linked her arm with mine and said “maybe it will be my turn next.” I made her promise that she would do what it took to be ready before I leave so that I can see her take that step. Her name is Leann and she lives just down the road from me. One of the Elders here is new and he is really struggling. He is having a hard time adjusting to the food as I am and also sleeping. He seemed at his wit’s end yesterday as well and even mentioned going home. I could totally relate since I was feeling the same way but I encouraged him to stay. As we sang the opening song in church the familiar words took on a new meaning for me. I thought this verse was meant for he and I that day. I choked back tears a little as I sang these words. At home or abroad, on the land or the sea. This entry was posted in Inspiration, Mormons, Storytelling, Travel, Uncategorized. Tina! I love you so much! I will let you know if I need anything. Also if Jan comes while I am here I hope you will let me know so that I can see him while he is here. That would make my day to see a familiar face. Thank you for sharing your feelings in such an honest way-what a great mission you are serving! You will be in my prayers every day!!!! Thankyou so much. I was so excited to see a message from you!